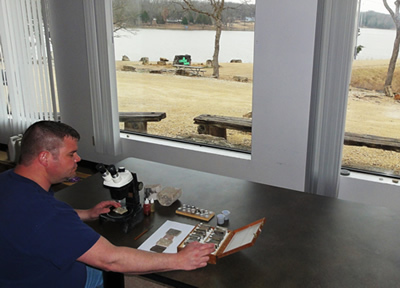 Hands-on examination with a binocular scope of reservoir rocks, seals, and source rocks from around the world. Carbonates, siliciclastics, oil shales, evaporates pore types, diagenetic overprints, fractures, and reservoir facies. This is the “Carbonate Seminar” that I presented for Conoco Oil Company and for Mobil Oil Company from 1978 to 1992; it has since been presented for numerous international oil companies and government agencies. This is a new seminar with several unpublished examples from all parts of the world, all based on the Principle of Uniformitarianism, as applied to carbonate facies distribution.